Napa Nuts hand crafts all of the trail mix offerings. 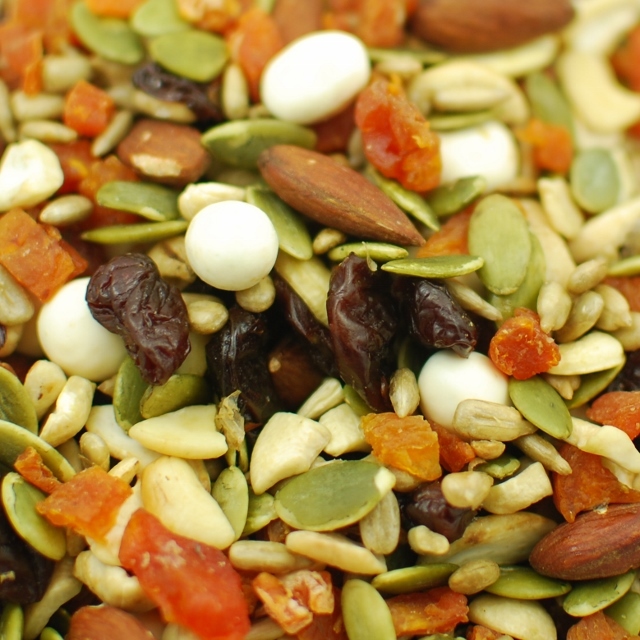 We have a chef on duty who makes sure that the proportions of nuts and dried fruit in each mix is precisely crafted to guarantee gourmet flavors for our customers. There are some mixes that are salty, some for just raw food, and some with a mix of chocolate. There is surely a mix that will make everyone happy, but trying all of them is highly recommended.